March is Women’s History Month and we usually do a display about women’s suffrage. This year a few of us in the reference department were talking about how work has changed for women since the 1960s and how few working women nowadays know what it was like. Owen Frank, Head of Adult Services at the library, said my stories remind him of the TV series Mad Men, that the library has on DVD. That was the time when most women were still limited to being secretaries, teachers, or nurses and those who do genealogy know that even obituaries listed a woman as Mrs. John Smith with no first name. 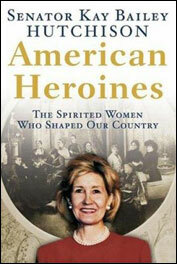 So I wanted to find biographies of women who had achieved greatness in “a man’s world”. I didn’t find as many as I would have liked until I looked in the collected biographies section (Number 920 in the Dewey Decimal System). There I found : The Book of Women’s Firsts by Phyllis J. Read ; American Heroines by Kay Hutchison; Encyclopedia of Women in Aviation and Space by Rosanne Welch; Who’s Who of Women in the Twentieth Century by Jean Martin; Adventurous Women by Penny Colman and the Norton Book of Women’s Lives by Phyllis Rose. There isn’t a woman president of the United States yet but we have come a long way. This entry was posted in Recommendations, Uncategorized and tagged women's history month by ccld. Bookmark the permalink.